China is often blamed for launching online attacks, but the evidence is almost always circumstantial. Many of the targeted espionage trojans seem to come from China, but we can't actually prove it. However, some new evidence has just surfaced. On 17th of July, a military documentary program titled "Military Technology: Internet Storm is Coming" was published on the Government-run TV channel CCTV 7, Millitary and Agriculture (at military.cntv.cn). The program seems to be a fairly standard 20-minute TV documentary about the potential and risks of cyber warfare. However, while they are speaking about theory, they actually show camera footage of Chinese government systems launching attacks against a U.S. target. This is highly unusual. The most likely explanation is that this footage ended up in the final cut because the editor did not understand the significance of it. The targets listed in the tool are related to Falun Gong or Falun Dafa — a religious organization that is banned in China. In particular, the attack is launched against an IP address, 138.26.72.17, which belongs to a U.S. University. What kind of an attack is launched remains unclear. But already the existence of such software with such targets is breaking news. 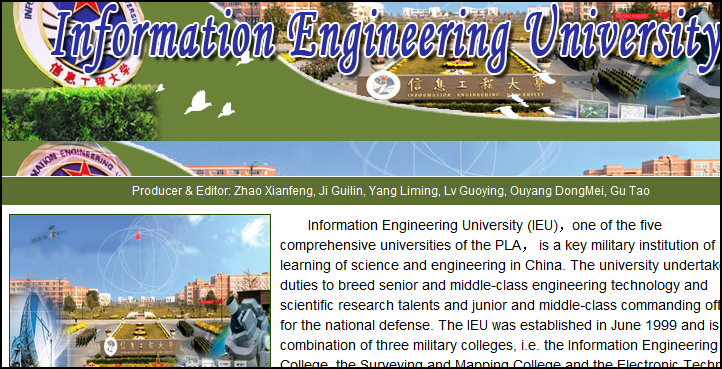 The software is credited to have been written in the Information Engineering University of China's People's Liberation Army. You can see the segment for yourself by going to http://military.cntv.cn/program/jskj/20110717/100139.shtml and fast-forwarding to around 13 minutes in the video. However, we don't expect the program to stay online for long. You can read more from Epoch Times. The Epoch Times is a newspaper from New York, published in Chinese and English, and is critical of the Chinese government.